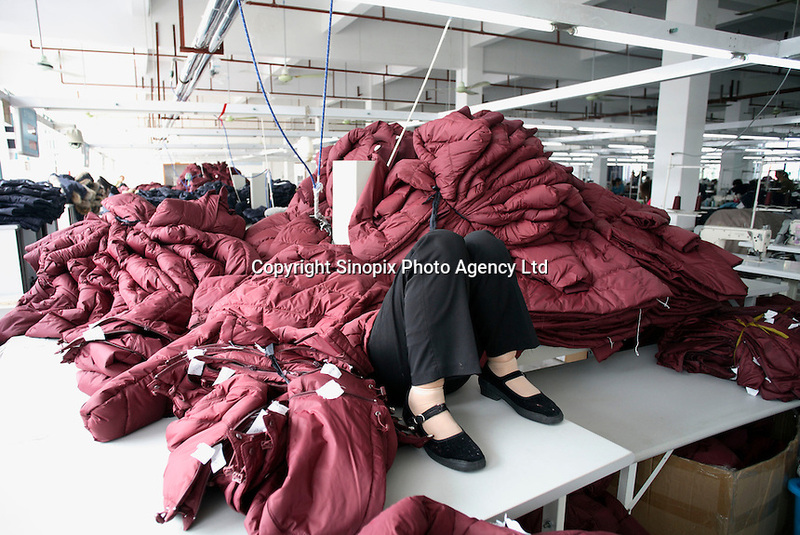 A worker sleeps under a pile of coats during a lunch break at the Quanli Garment Factory in Pinghu, Zhejiang Province, China. It is a normal practice for factory workers to sleep during lunch breaks in China. The textile industry in China suffers severe difficulties since 2008. Its export was 185.17 billion U.S. dollars in 2008, up 8.2 percent year-on- year, but the growth rate was 10.7 percentage points lower than in 2007..